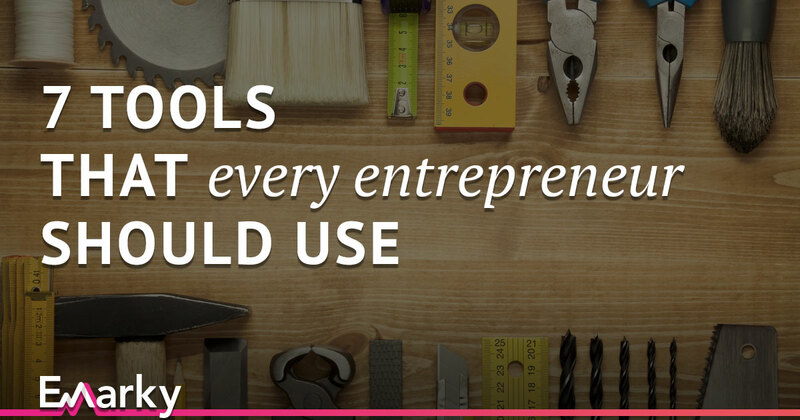 What’s the one thing entrepreneurs don’t have? Just like anyone else, we only have 24 hours in a day – and we need about 6-7 hours a sleep (granted, some people need a few hours more or less). No wonder that many entrepreneurs are a bit “paranoid” when it comes to productivity and efficient hacks – myself included. While pushing myself to squeeze more productive time out of each day, I’ve fallen in love with a few apps and services that I use on a daily basis – which save me a bunch of time. So here we go, the 7 apps that help me save a few hours a day – every day. Evernote is a very effective app that I use to store all my notes. I find it a great way to save a bunch of time because it has all my notes together, and I can simply use it to scan or find some important documents and sales copies right away – even those from a few years ago! More importantly, I use it to collaborate with my team and freelancers (even those who have no Evernote accounts), especially with tasks involving documents that need to be worked on simultaneously. Plus, I can easily share my notes on software ideas & changes – and use them as briefings. Every project stored in one. Over the years, I’ve tried and tested various project management systems, such as Jira, Basecamp, and FreedCamp, but none of those seemed to have the right feature set for managing my projects – until I ran into Trello. For years, Trello has become my go-to tool when it comes to organising tasks and overseeing all of my projects. I can create a new board for each project; hence, making it easier for me to track them visually. It allows collaboration with people involved and helps me get things done in a smooth and super-easy way. Trello uses the Kanban paradigm, a principle that focuses on the flow of certain tasks to improve productivity. Love it. Uploading and sharing files in seconds. Droplr is the tool that I use to share files (mostly images) quickly with my team. Within a split second it automatically takes screenshot, uploads it to Droplr, and adds the URL to my clipboard, so I can paste and share it to whoever I want to share it. You might be surprised how much time you’ll be able to save when you use this tool! When a simple screenshot isn’t enough to make my point clear, I use Skitch in combination with Droplr to express what I want to say. The tool allows me to add texts or any visuals to my screenshots for better visual communication. What I do next is just simply drag the images to Droplr for an easy way of sharing them with my team. And because it is part of Evernote, all my screenshots are stored there as well, which makes it convenient for me whenever I need those images again in the future. In the early days, I used only one password for a lot of services (yeah – silly me). But when my business started to grow, I realised that I can’t take the risk of losing any of my data, so I started using different passwords for everything – which means it is impossible to remember. For this reason, I started using 1Password – a password vault that stores all your passwords in a safe and convenient place. With the Google Chrome plug-in, I can easily log-in into every service without having to type in the actual password. Easy video recording in no time. ScreenFlow is (by far) my favorite tool when it comes to recording and editing screen videos. In my business, it is mostly used when there are tasks that I want to delegate to my team, without the need to write lengthy instructions and complicated notes, and other projects that require a video. Quick and personal! Without a doubt, aText is the best and the biggest time-saver of all! Whenever I feel like there are lengthy messages or replies that I need to send multiple times to some of my business contacts during the day, I simply add them to aText. If there’s a need to send them again, just one word on the message box, and aText will instantly auto-fill the rest. Perfect way to cut time! These are the personal tools that I find really effective and helpful in organising and running my business. How about you? Mind sharing your preferences?